A tittle is a small distinguishing mark, such as a diacritic or the dot on a lowercase i or j. 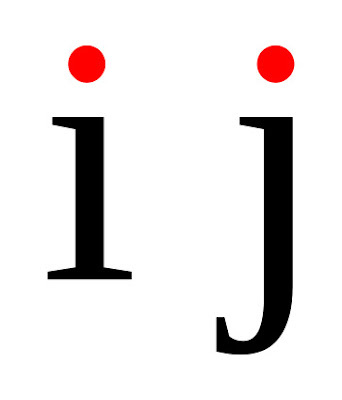 The tittle is an integral part of the glyph of i and j, but diacritic dots can appear over other letters in various languages. In most languages, the tittle of i or j is omitted when a diacritic is placed in the tittle's usual position (as í or ĵ), but not when the diacritic appears elsewhere (as į, ɉ).